A few other visual bugs were fixed, too. 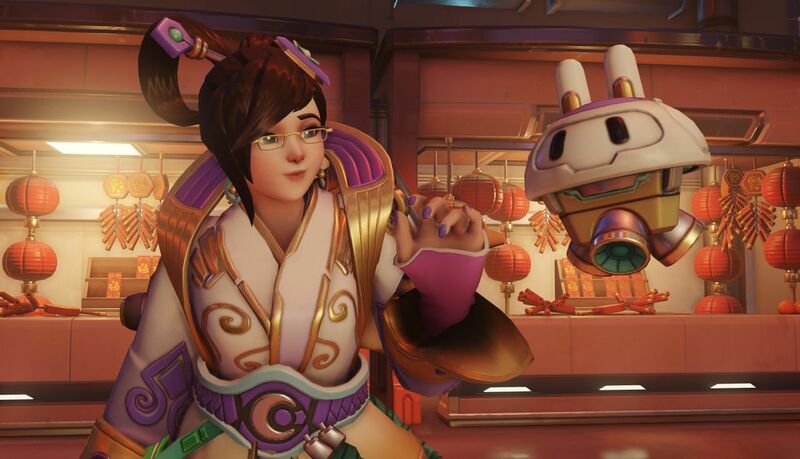 Overwatch’s Year of the Rooster event added a bunch of bugs to the game, but some of the most major have been adjusted in a patch released Jan. 31. Listed in the patch notes, Blizzard fixed a bug that allowed the flag in Capture the Rooster to get stuck outside of gameplay boundaries, allowed competitive games to continue on indefinitely, allowed Mei and Tracer to reach unintended locations on several maps, and a visual bug that prevents cracks from showing on Reinhardt’s shield in the Wujing skin. What wasn’t listed, however, is that Blizzard has fixed the bug making Mei’s waist too tiny while wearing her Chang’e and Luna skins. The adjustment made is very slight looking at still photos, but more noticeable when the images are combined. Overwatch’s Year of the Rooster event went live on Jan. 24. Soon after, fans began to notice changes to Mei’s waist—and that upset a lot of people. Blizzard’s hero-based shooter is praised for its diversity, including in regard to body types. Blizzard initially responded in a forum post—since deleted—stating the waist change was a bug and not intentional. The Overwatch developer promised to fix it with the next patch, and seems have had made good on that.